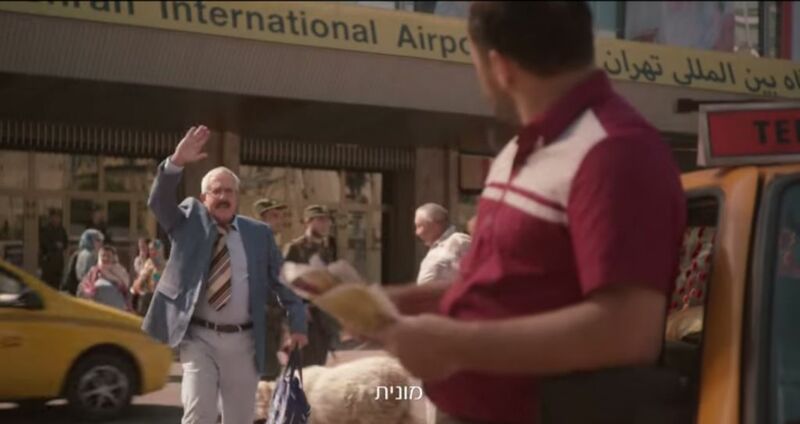 Bezeq, Israel’s national phone company, debuted a new TV ad late last week. It features Gidi Gov, mainstay of the beloved band Kaveret (known as Poogy outside Israel) and one of the country’s most likable entertainers, flying into “Tehran” airport, somehow getting through passport control, grabbing a cab, stopping off for a snack, and finally winding up at a building that looks suspiciously like Iran’s Bushehr nuclear reactor. Inside, a room full of Iranian ayatollahs and military chiefs are counting down to the launch of a nuclear strike against an unnamed enemy. When the understandably nervous Gov bursts in through an air-conditioning grill, having taken a puff on his asthma inhaler to bolster his courage, they have just chorused “three, two, one” and a general’s palm is about to press down on the red button. “Stop the bomb!” urges Gov, and, amazingly, they do stop, to hear his sales pitch. I love this Bezeq ad. Love it. 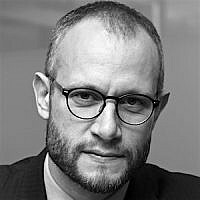 This, I should hurriedly make clear, is despite the fact that I have no desire whatsoever to subscribe to the new service Bezeq salesman Gov is pitching — something called “Smart Home,” which enables you to control the lights, temperature and other gadgetry in your house even when you’re not there. I love this ad not for the product it’s pushing, but, first, because its premise is so ridiculous: The notion of an asthmatic Israeli phone company rep bursting into an Iranian nuclear control room to tell the Iranian leadership that now’s really not the time to blow up the world… because Bezeq has this new, thoroughly nonessential home temperature control service. What kind of deranged creative team thought that up? And what kind of insane ad agency pitched it to the client? And what kind of harebrained marketing director at Bezeq approved it? I’ll tell you. 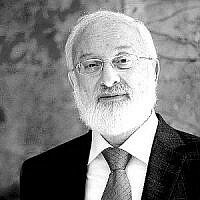 The Israeli kind. Relentlessly creative and insistently good-humored Israeli scriptwriters and agency chiefs and marketing strategists. I love this ad. I love them for making it now of all times. 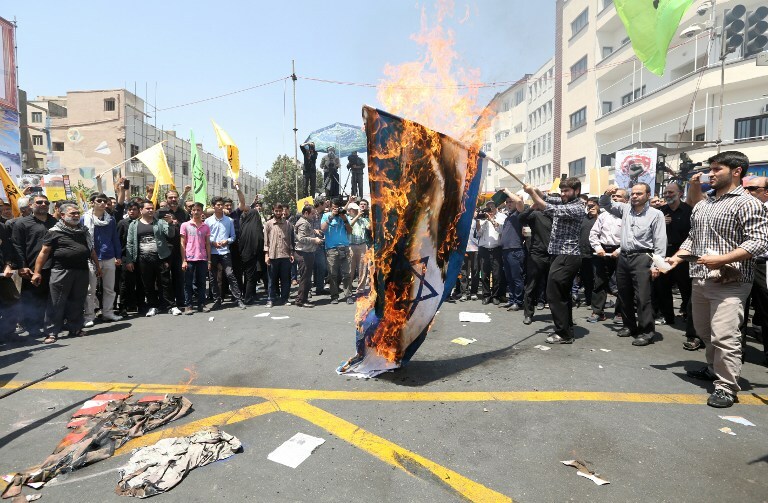 I love them for showing it during the Friday night TV news — just after that report on vast throngs of Iranians marching on Al-Quds day to denounce Israel and denounce America and burn our flags and urge our demise. 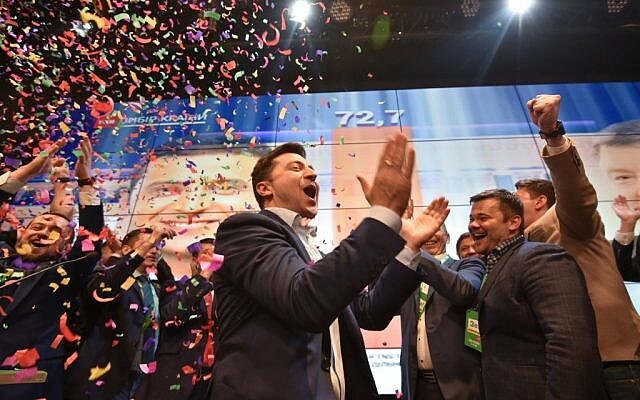 They showed it a second time later in the same news broadcast — just after Channel 2’s Middle East analyst Ehud Ya’ari had bitterly informed us, based on who knows what sources, that the P5+1’s deal with Iran “is done,” and the ostensible ongoing tough talking in Vienna is for public consumption only; that the Iranians held firm, the Americans capitulated, and everything in the accord is even worse than we’d feared. 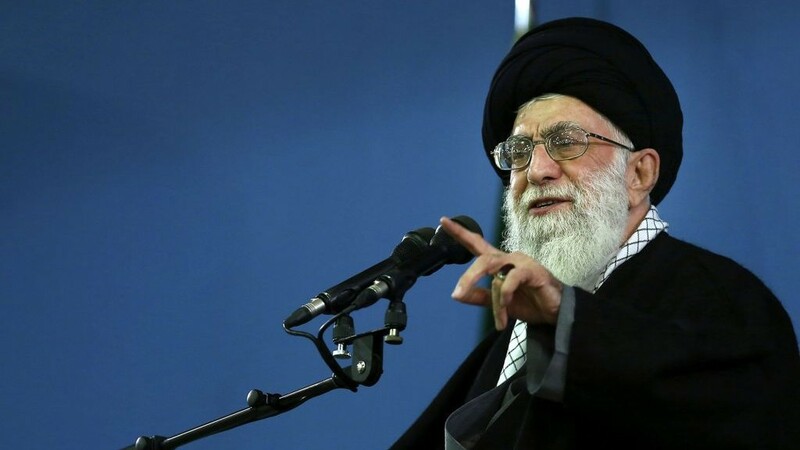 They showed it again on Saturday night, just as news was emerging that Iran’s Supreme Leader Ali Khamenei had been telling students that America is “the embodiment of global arrogance” and that a core goal of the Islamic revolution is to fight against that arrogance, nuclear deal or not. And as reports emerged of a new Iranian mobile game that features Iranian-made missiles slamming into Israeli targets. 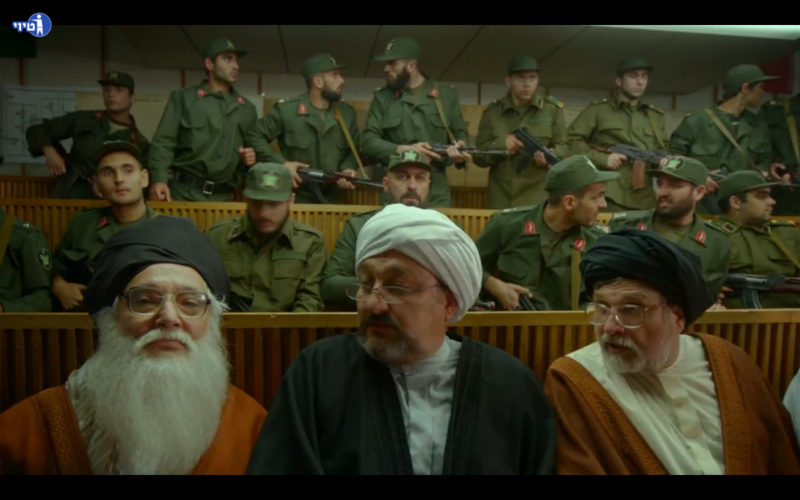 Iranian soldiers confront Gidi Gov at a nuclear control room in new Bezeq ad. “Death to America.” “Death to Israel.” Burn, kill, strike. And here’s anxious salesman Gov plying his Bezeq Smart Home service to the Iranian nuclear chiefs again. Watching this cockamamie new ad, precisely at this moment of dire concern over Iran, its global ambition, its nuclear aims, and the feckless Western response, is actually a rare source of comfort. Not because it diminishes the terrifying Iranian agenda. Really, it doesn’t. It’s just a silly ad. Which is why I love it. (Did I mention that?) 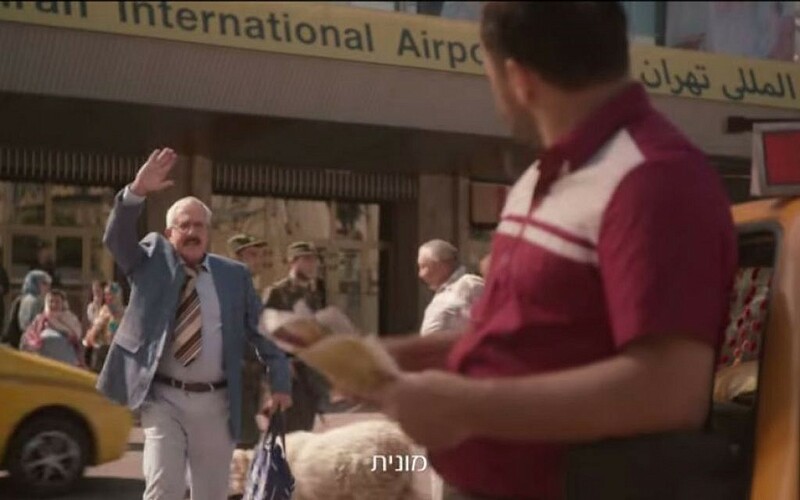 Israel made a silly ad, sending a fictional Israeli marketer into a fictional Iranian lion’s den, precisely when the real Iranians are threatening us, and calling for our annihilation, and completing the process of outwitting the blinkered, short-sighted West en route to attaining the weaponry with which they would be able to realize their declaredly genocidal ambitions. It’s just a silly ad. A silly ad with some mild Chaplinesque echoes, satirizing the Iranian nuclear threat. Satirizing something Israelis have to take utterly seriously, but underlining that, even in the face of Iran’s murderous zealotry, well, sorry, we’re not going to give up our sense of humor. We’re not going to let them turn us into quivering victims. 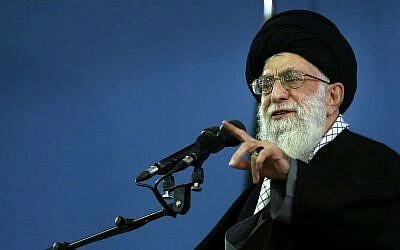 We’re going to laugh at ridiculous Gidi Gov confronting the ayatollahs. I hope the Iranian leadership has seen it. And if so, I wonder what they make of it. Whether they short-sightedly regard it as proof of our ostensible superficiality, or are smart enough to internalize the confidence it exemplifies. I’d bet on the latter. But I’d also bet they wouldn’t want their public to see it, to have Iranians internalize that those lousy Israelis, those nasty Jews, are pretty funny actually, capable of laughing at themselves, at Iran. That in Israel, you can make and screen an ad like that, at a time like this, and be celebrated for it. I’d like to think that, behind the scenes in Israel — where the best government and military minds are hard at work ensuring that this tiny, embattled, imperfect, insistently thriving little nation is capable of defending itself no matter what the Iranian regime attempts to throw at us — they’re getting a kick out of the Bezeq ad, too. And some encouragement. After all, the Bezeq salesman gets their part of the job done. Taken aback by Gov’s surprise entrance, that Iranian general does not press the red button. He pauses. Phew! Then Gov pitches. Some ayatollah head-scratching ensues. Sadly, the Iranian top brass is underwhelmed by the Bezeq service. (A nutso ad, sending an Israeli salesman to Iran, where he saves the world, temporarily, but his pitch is rejected. What kind of incomprehensible sales ploy is this?!) Lots of uniformed Iranian soldiers point their machine guns at the hapless Gov. It looks bleak, but fortunately he’s got a Plan B. Do you think Israel’s leaders have seen this daft ad, and laughed at it? Absolutely. Is it too much to imagine Khamenei watching it and smiling? I rather think so. Just one more little reason why we’re going to outlast him and his dangerous, humorless regime.